Believe me, there’s definitely a right and wrong when it comes to Tween bedroom design. A tween is a child that is in be-TWEEN adolescent and teenage years, so around the age of 10, 11 and 12. 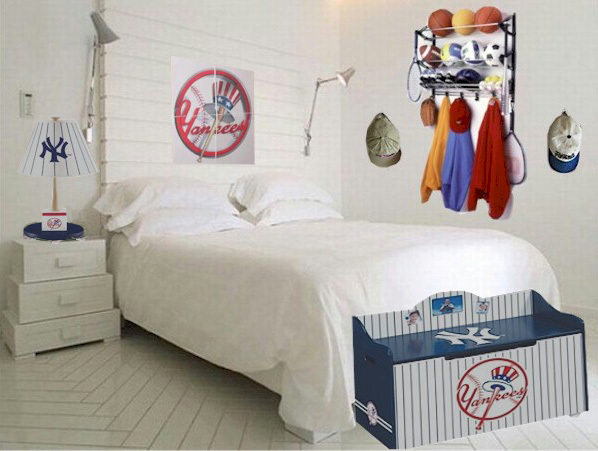 At this age kids are quite particular about what is added or taken out of their bedroom, so when you redecorate their space make sure to keep that in mind. Here are some other things to remember to make your Tween bedroom decorating experience a good one for both you and your in be-TWEEN child. 1. Always consult your child before making any decorating decisions. Make a check list of your maturing tween’s likes such as: favorite color combos, favorite images and pattern types, storage needs, current hobbies, things your tween wants to do in the room like listen to music, hang with friends etc…, plus list trends that he/she is into and anything else that your child wants to add to the list. 2. Decide which kids furniture or items your tween wants to keep and which ones he/she can live without, then get rid of the unwanted items to make room for the new. 3. Choose a color combo first…does your tween love green and purple, blue and red, black and silver? Once you get your color palette things get easier. 4. Make a “to scale” drawing of your kids bedroom and include sketches of all the kids furniture and other items that are in the space. Compare what’s there to what else is needed and figure out the measurements of open space you have for new items including floor, wall, closet and under the bed space. 6. Draw storage items that are needed onto your room drawing to see where they will fit best and write down dimensions that will work in that space. 7. Decide on additional furnishings that can add some fun to the space, like bean bag chairs for a friend hang-out, desk for crafts or homework time, plush chair for reading etc… Add those items to the drawing in scale. 8. Last is figuring out lighting. Does your child like to read in bed? Need light for doing arts and crafts? Need a bright light for chilling out time with pals? Draw the lights on your room drawing as well to see where they’ll fit best. 9. Now that you have the room drawing that includes furniture and accessories and their dimensions, plus color and theme it’s time to get everything you need to set-up that super cool Tween bedroom. 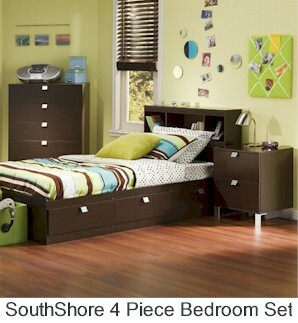 We can help with step 9 since we offer top brand kids furniture and accessories in all styles and colors. Visit us today at SimplyKidsFurniture.com and browse through our huge selection of hip and long lasting kids furniture to get what’s best for your Tween’s space. Don’t have much space to work with, but want your kids to have the ideal arts and craft area? No problem. There are some simple solutions that will allow you to create an amazing arts and crafts area in a very small room. Below you’ll discover some unique art centers that hang on walls, sit on table tops or hang over doors, so you can make the best of a very small space. 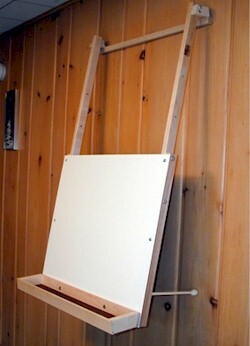 If you have a desk or small table in your playroom this easel can sit right on top. Better yet, it allows two children to play together because it’s a double-sided easel with a chalkboard on one side and dryerase board on the other. It also comes with a paper roll and cutter and 4 non-spill paint cups and 4 paint brushes, plus another storage tray. 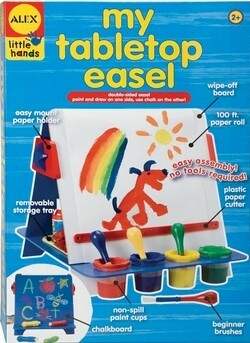 It offers lots of creative possibilities for the little budding artist. This wall easel is an even better space saver that can hang on any wall in the playroom. It has a precious, colorful screen-printed design on the border that adds whimsy to the room, plus a blue chalkboard center. It also comes with a paper roll up top, plus paper cutter and three cup holders for paint brushes and paints or chalk. This cute art station allows your child to dabble in lots of art mediums all within a very small space. This unique easel can be hung on a wall, over a door or on shelves to create a fun art area without taking up any extra floor space. It comes with a large dry erase surface above a supply tray, so your child can keep markers close at hand. 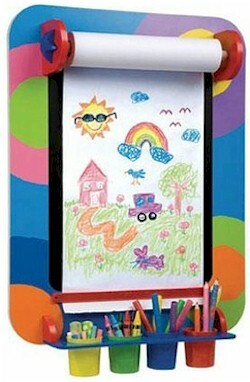 This easel is sure to inspire your child to draw lots of amazing masterpieces. 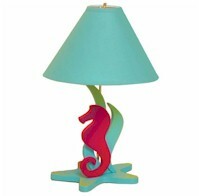 Cool Lamp Base: The Room Magic Tropical Seas Lamp is cool, colorful and refreshing — sure to brighten up the room in more ways than one! 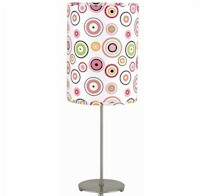 Fun Lamp Shade: The Lite Source Polished Steel BullsEye Far Out Table Lamp is a fun and funky lamp that will add flavor to your child’s room. 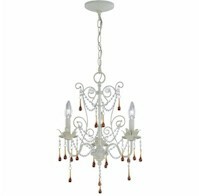 Unique Hanging Lamps: Your daughter’s room deserves a touch of class, elegance and girly fun with the Lite Source Melanthe 3 Chandelier in Antique Crystal. 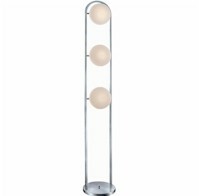 Lite Source Polina 3 Lite Floor Lamp in Polished Steel in your daughter or son’s room to light up his or her life! Create intrigue and interest around every corner in your child’s room by choosing a fun light source to brighten the day!